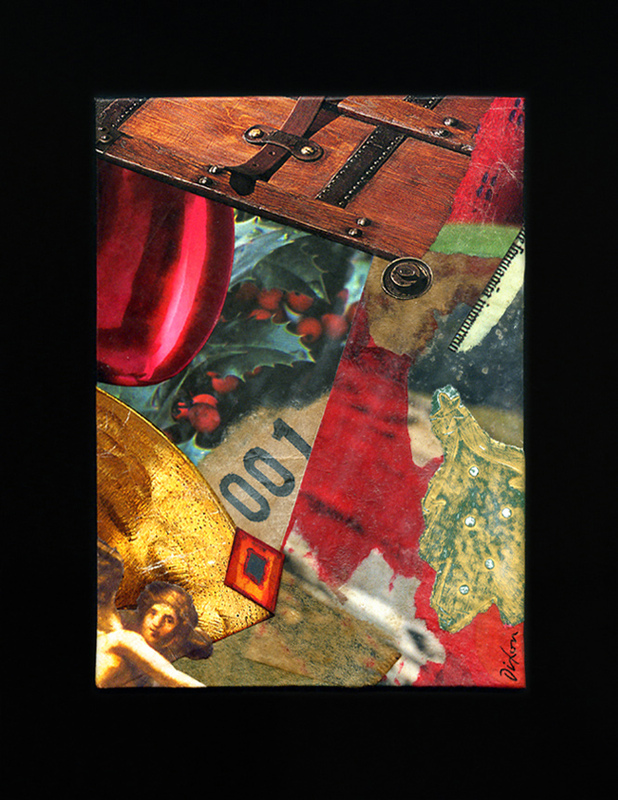 I was in the “Seasonal Zone,” listening to music and making a batch of hand-made greetings and collage miniatures. 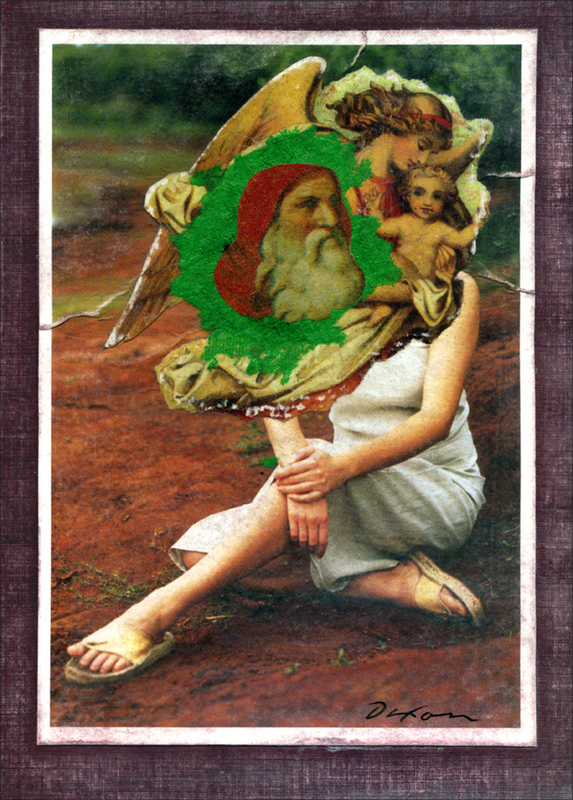 I began to recycle Christmas cards from previous years, and I had the idea of trying to visually merge two different but similar images. Nothing seemed to go right as my technique played out. One cannot anticipate nor contrive the “fortunate accidents” inherent in the medium. The resulting effect reminds me of an aging fresco, as if an artist had painted a Madonna and Child over another, with the decay of time and weather taking over. I rarely think too much about these things in process, with reflection arriving later. I especially enjoy when others make observations and symbolic associations of their own. 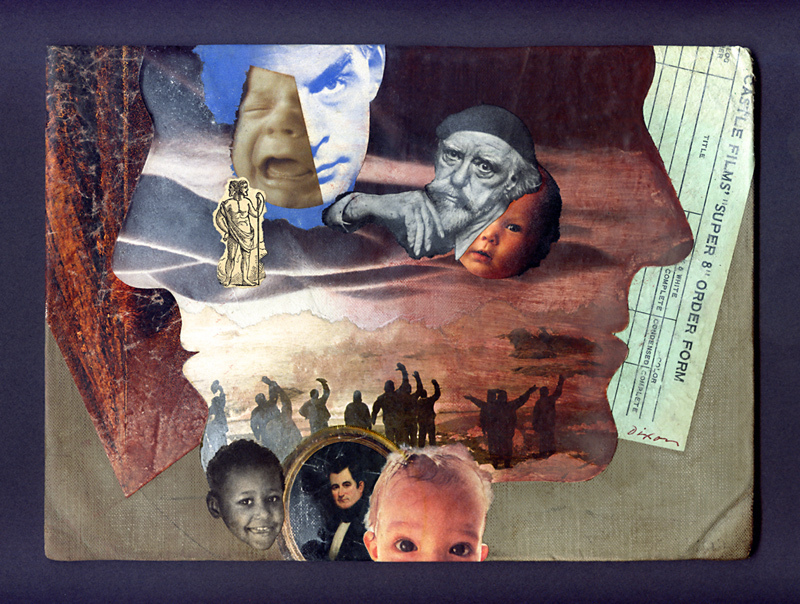 Overall, I think my sweet obsession with collage may be about trying to bring some kind of harmony out of the sense of disorder that pervades much of modern perception, although I should hesitate to generalize about my personal state of being and apply it to the world. 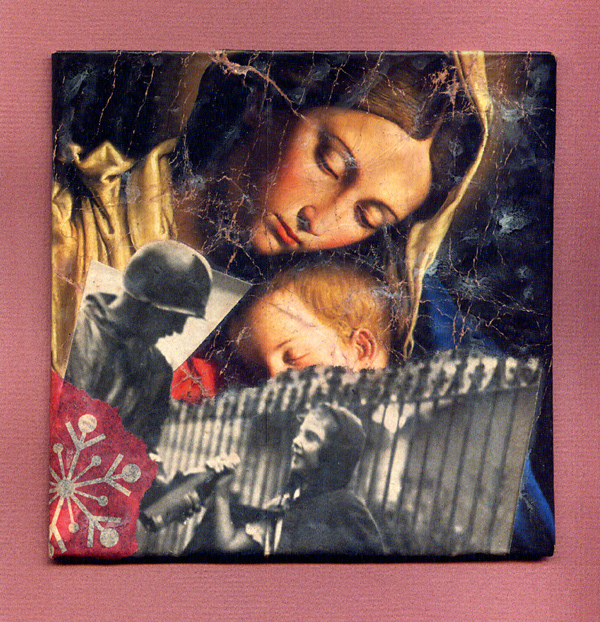 I have come to the point where nearly all of my December gifts are hand-crafted items, many of which feature experimental images of one sort or another. Some end up being studies for larger works. Shown below are a couple of little artifacts that have resulted so far from my lead-up to the holidays — examples of how gift art can hover between descriptive categories. 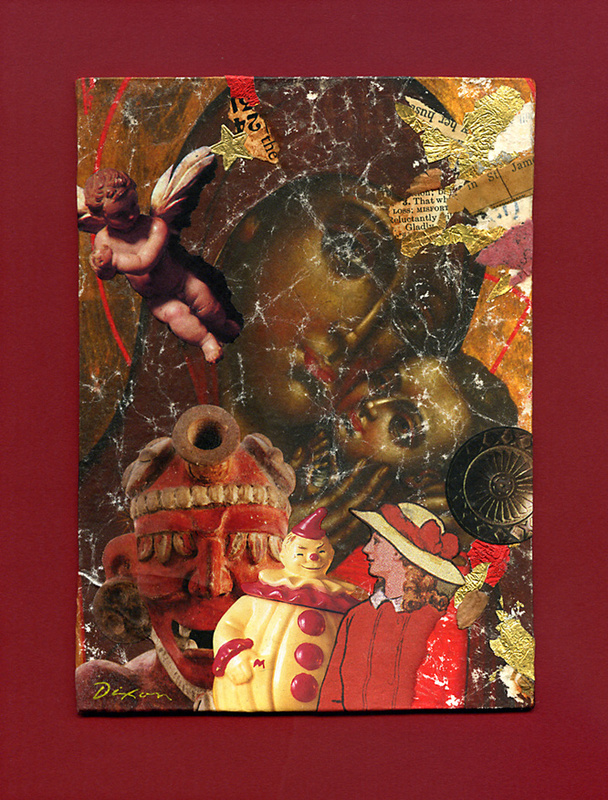 Both are more than greeting-card covers, but not advanced enough to be called true collage miniatures. Intrinsic value is always a matter of opinion, but, at any rate, people usually appreciate being invited into the artistic process. 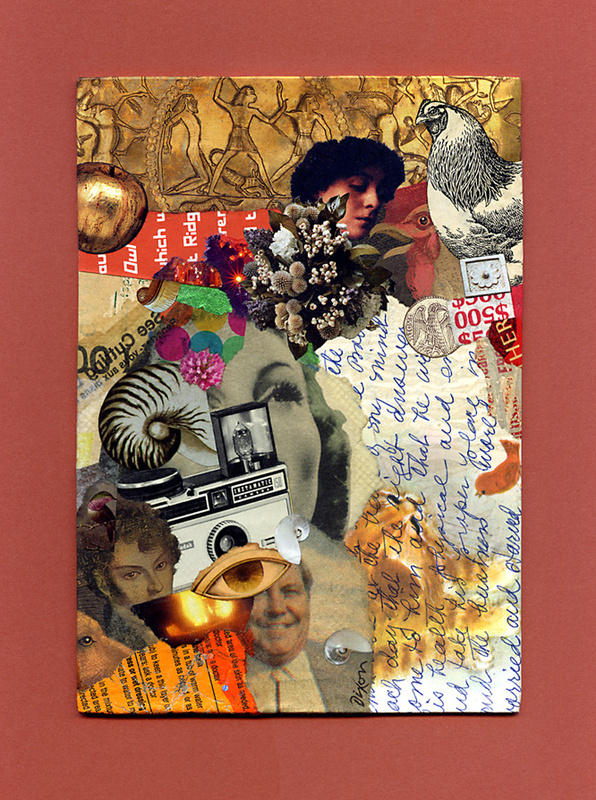 All collage artists appropriate and harness the previous creative expenditures of countless others — photographers, sculptors, paper chemists, illustrators, product designers, typographers. This is true for even the most abstract practitioners, but certainly for those of us who find and work with representational scrap. 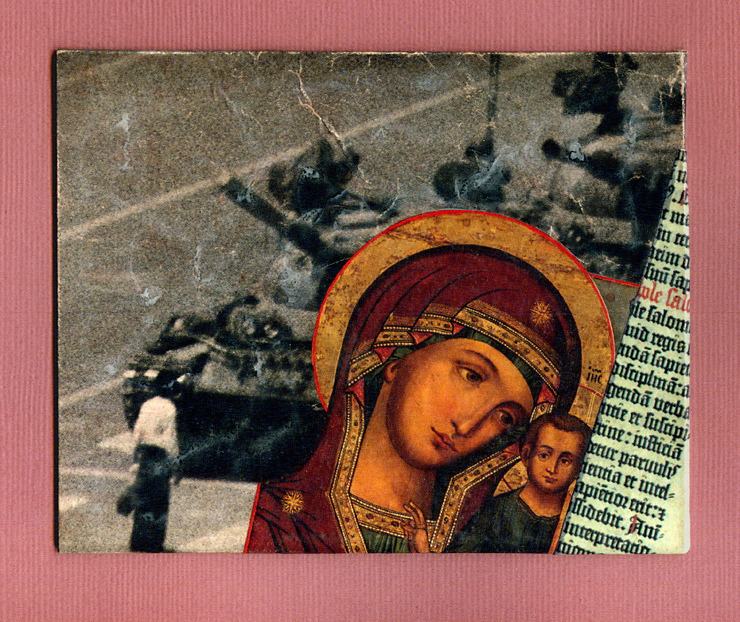 I cannot help but notice that images born of religious intent have increasingly found a place within my collage artworks, and I have decided that I shall not be self-conscious about it. There is never a goal of irony, sarcasm, or disdain. The imagery just seems to “belong.” Perhaps, for me, it is an attempt to balance the darkness of chaos with an element of the sublime. Within the spatial montage, or within myself? I may have to think about that a bit more. 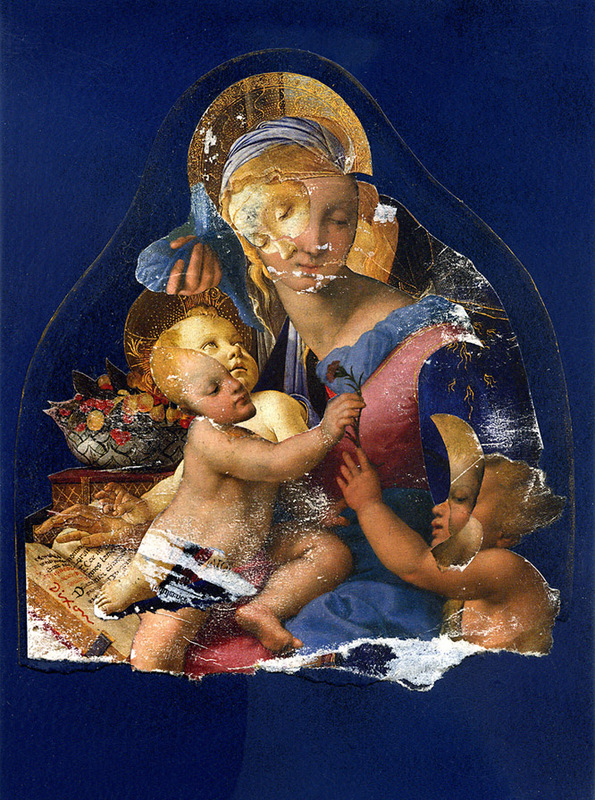 You are currently browsing the The Collage Miniaturist weblog archives for December, 2015.